A club is formally a group of people or an association sharing a common interest or goal. A club may be of various types, hobby club, professional society, social club, sports club, social activists club and many others. The main purpose of clubs are sharing thoughts and doing activity with like-minded people. It is a place for relaxation of mind and a mode of entertainment for many. 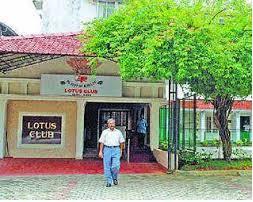 In Ernakulam district the culture of these kinds of clubs or social associations are quite popular. In fact, there is a huge craze for the sports club and membership in them. The membership fees of each club are different from one and the other. However, concessions in fees are available if a member of the club recommends.